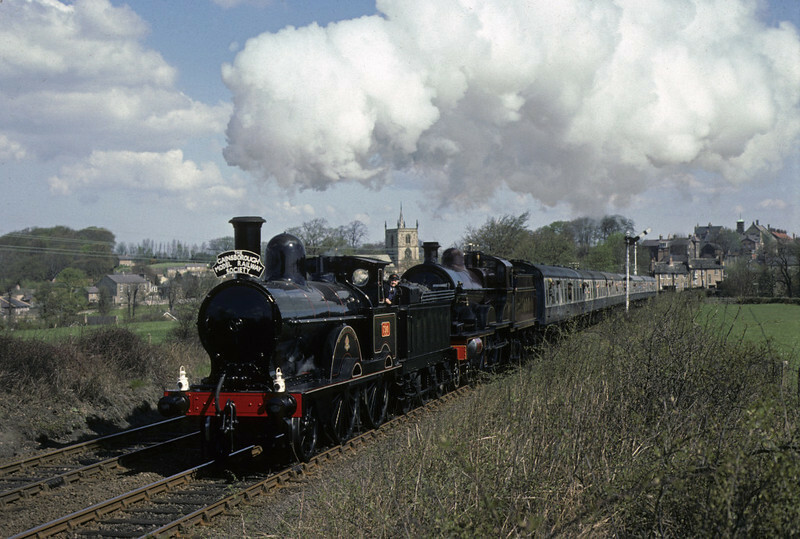 Eleven photos of LNWR 2-4-0 No 790 Hardwicke during its brief return to the main line in 1976. LNWR 2-4-0 790 Hardwicke & Midland 4-4-0 1000, Knaresborough, Sat 24 April 1976. Here are three shots of the celebrity duo working the Gainsborough Model Rly Society's York - Carnforth 'London & North Western & Midland Railways Joint Tour'. Photo by Les Tindall.